Chai (חַי‎) and welcome to day 18 of our Beach Bikini Boot Camp! Stick with us and we'll make you a star this summer! Complete four rounds, pausing up to 90 seconds after each round as necessary. Afterwards, do a 5-10 minute cool down (slow job or walk). Great work everyone! See you tomorrow! Don't Drink Your Calories. The average American gets 22 percent of her daily calories (roughly 350) from drinks. The trouble: "Liquids travel too quickly through your stomach for your brain to notice the calorie consumption," says Susan Kleiner, Ph.D., R.D., owner of High Performance Nutrition in Mercer Island, Washington. A study in the American Journal of Clinical Nutrition found that people who cut sugary drinks out of their diet lost one pound more after six months than those who slashed the same amount of calories from food. 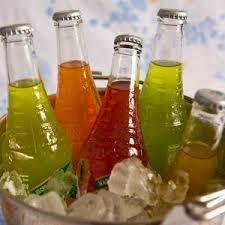 And sodas aren't the only drinks to be wary of, says Bob Harper, a trainer on NBC's The Biggest Loser. "You could burn 200 calories exercising for 30 minutes and then put them right back into your body by sipping a sports drink or a sugar-filled latte."